Last night, Dash went off to a concert in Eugene so I took the kids on our first Corvallis Arts Walk! 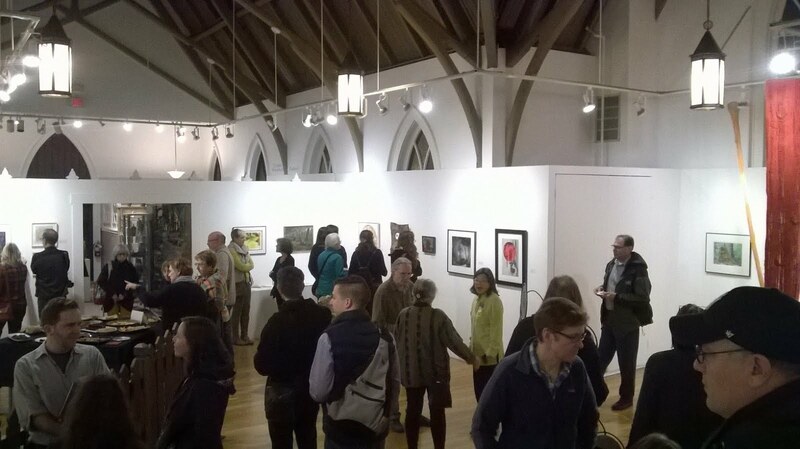 For those not familiar, it's this nifty event held every third Thursday where art studios and galleries around town are especially open from 4pm-8pm, providing wine and treats, and giving folks an opportunity to meet some local artists and see what beautiful creations they are making. She told me to swing by some time to check out some prints she had featuring me and that the CAW might be a good opportunity to do it. The weather was fiiiine (50+ degrees, I want to say??) so me and the kiddos headed out on a lovely and inspirational walk. 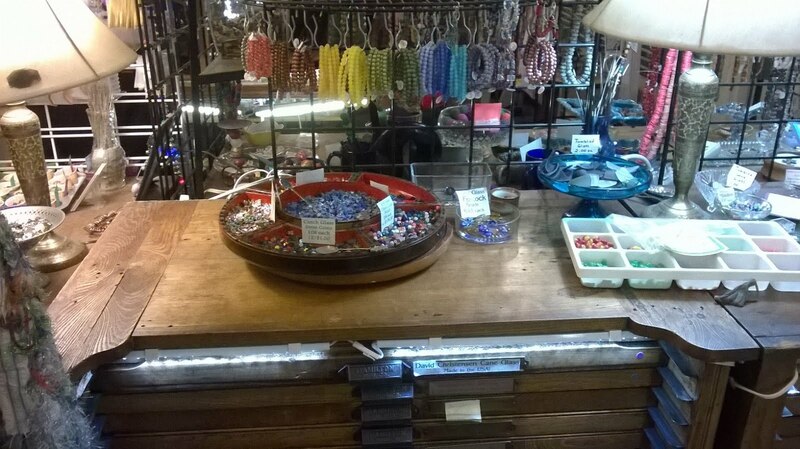 Gotta love the space of this converted building~! 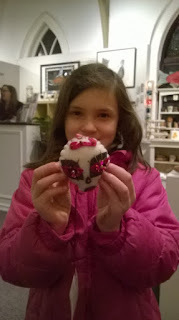 I let Ella take home this handmade felt skull. Yay for supporting local artists! 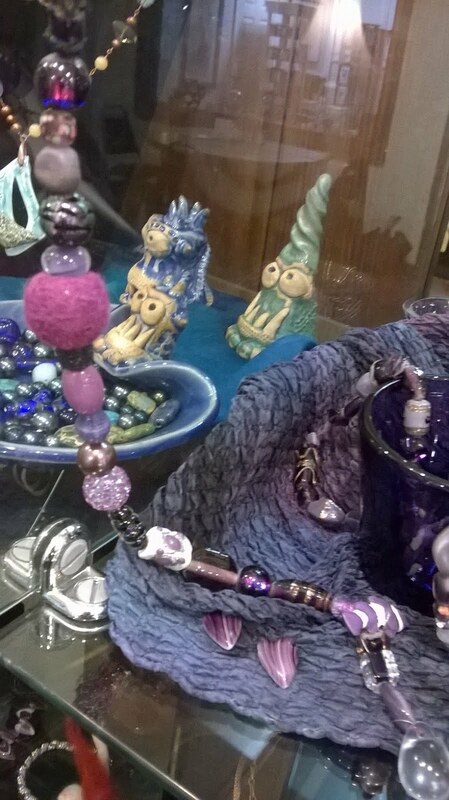 The local bead shop in town is such a feast for the eyes. 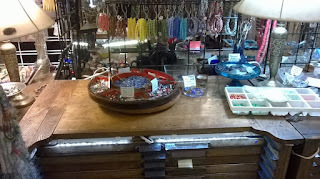 Every kind of bead imaginable (glass, wooden, vintage, etc) and the organization set-up is very creative and friendly (like using old library card catalog drawers!). After a long trek back home, the kids promptly passed out and I spent the rest of the evening on the phone with Kathy-neechan, thinking up more story ideas. :)))) Just loooove our creative process together! 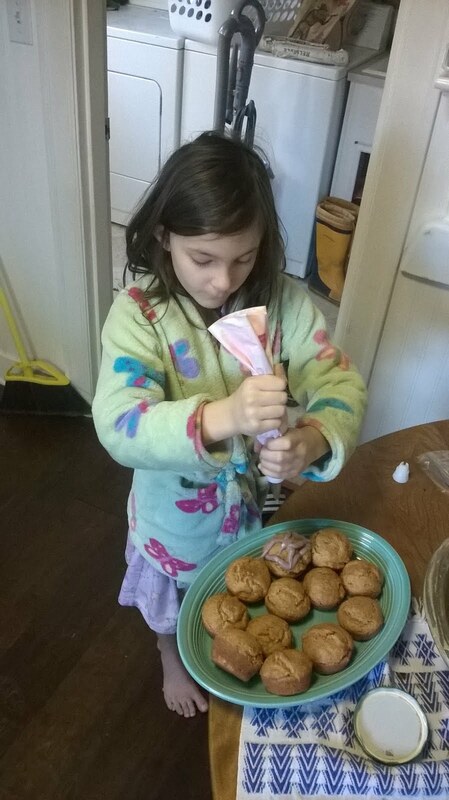 Today, I decided to keep Ella home since she's coughing a bit much, so we took advantage of our time together to bake up some persimmon muffins for our new neighbors! 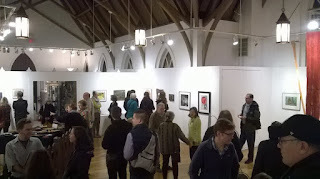 Until next time, take care and Happy Corvallis Arts Walk! !